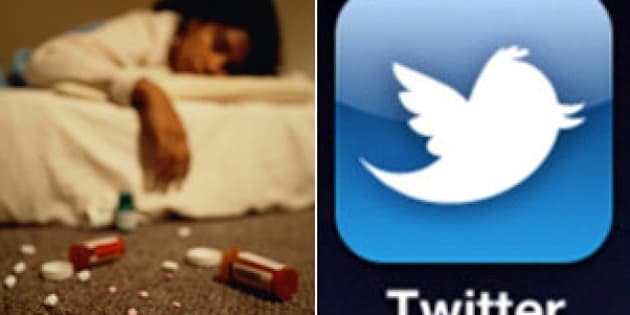 Toronto police have determined that a series of tweets sent out about a possible suicide attempt were part of a hoax. Const. Scott Mills said he was notified on Wednesday evening about a person who was allegedly threatening to swallow pills. Someone in Toronto had been trying to reach out to the individual who was allegedly going to take their own life — and soon police were informed about the situation. For the next four hours, Mills and two other police staff members frantically investigated the tweets. Through Twitter, they initiated an emergency trace, which eventually helped them determine that several accounts were linked to a proxy address in Greece. "That&apos;s where the proxy is coming from. We believe [the source of the tweets] is probably the United States somewhere, but it&apos;s really hard to trace," Mills told CBC Radio&apos;s Here and Now on Thursday afternoon. Police concluded that the suicide wasn&apos;t real and that a marketing company appeared to be behind the tweets. The goal appears to have been to get an album release to trend on Twitter. "We came to the conclusion that this was a scam and a hoax," he said. Mills said that he has previously dealt with a suicide hoax on Twitter, but that was a case of young people playing a prank. He said that police want the public to realize that online hoaxes tie up resources and distract police from real emergencies. An incident like this, if it involved Canadians, could lead to criminal charges of public mischief, Mills said. "The message clearly has to get out there that scams and hoaxes like this will not be tolerated and will be investigated," he said. "And we&apos;ll get to the bottom of it, one way or another, and identify the people involved."